Wesleyan would be happy to have him. I would not be surprised, either if Chris Peyton finds his way back to B-N at some point. Don't let the door hit ya D-Bag! Never thought he was serious about Illinois State basketball. I would watch him sitting behind the bench at games and he spent the majority of time on his cell phone. Never really involved in the game. I have thought that about him for some time. I believe that Muller forgot about him as well. I highly doubt if he's still unqualified he won't have the grades for iwu. Plus, division 3 doesn't have scholarships so he'd have to pay iwu tuition which im sure isn't cheap. My senior year of high school, Normal Community had this stud named Anthony Beane, who committed to ISU. At the time, Beanes dad was an assistant coach at ISU with Tim Jank. After Jank left, Beane decommitted and followed his dad. To where? Southern Illinois. Local kids decomit and go to SIU. Lol. Did they tell him the're closing in a couple years? I wish some day I'd hear the real story of what happened here. I worry this is another one that's going to come back to bite us. Was really excited about this one prior to the decommit. Oh well. All I can do is hope we find better. 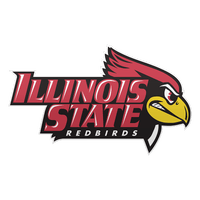 Illinois State would have won over SIU. No doubt in my mind. That tells me the reason is because ISU didn't want him not the other way around. But, it would be interesting to know why. I'm sure Adunk or someone on here knows why. Did he finally qualify? I missed that news if so. My guess was that he thought he would get higher offers, but didn’t.